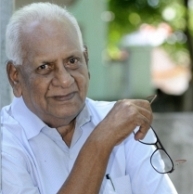 Veteran artist V S Raghavan who has featured in numerous films and television serials breathed his last this evening (24th January) around 5.30 PM at a private hospital in T Nagar, Chennai. Raghavan is known for his characteristic voice and the lucid diction and dialogue delivery. In a career spanning almost six decades, this talented artist had worked in more than 1000 films and has created a special place in the industry. V S Raghavan is survived by two sons, daughters-in-law and a grandson. The cremation is set for tomorrow, 25th January. Behindwoods offers its heartfelt condolences to the bereaved family and prays for the departed soul to rest in peace. People looking for online information on V S Raghavan, V S Raghavan passes away will find this news story useful.